This is an essential tool for those retailers who work with agents, schools, churches and others to boost sales. Many retailers see the benefits of expanding their customer base and increasing sales with the careful use of the Sale or Return module. Many of these are concerned at the management required to keep track of who has what stock, how long they have had it, when it is due back and what its value is. Merlio's Sale or Return Module provides total control over both financial and inventory aspects, throughout the whole process. It enables managers to make informed decisions based on any outstanding issues, and account balances with agents or others. 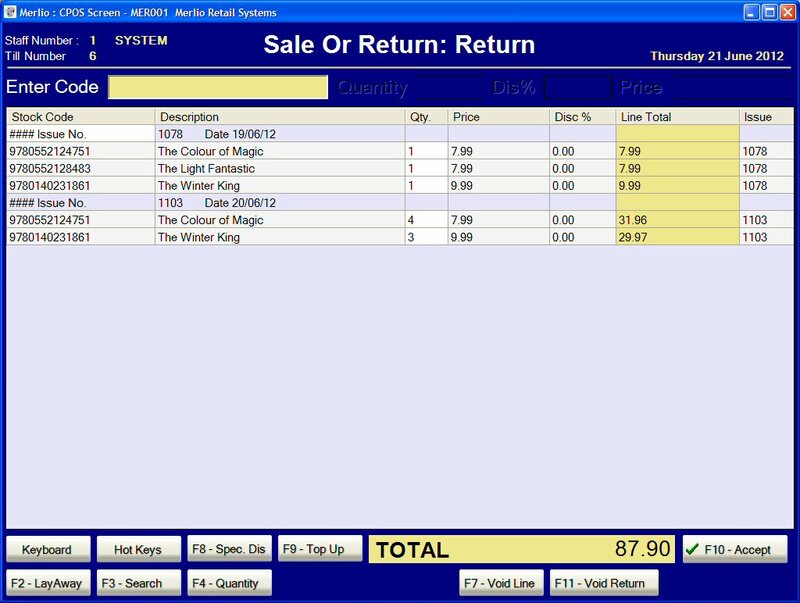 The module is fully integrated with Customer Accounts, Stock Management and Supplier Ordering.